What is that light green, leafy vegetable in your box? 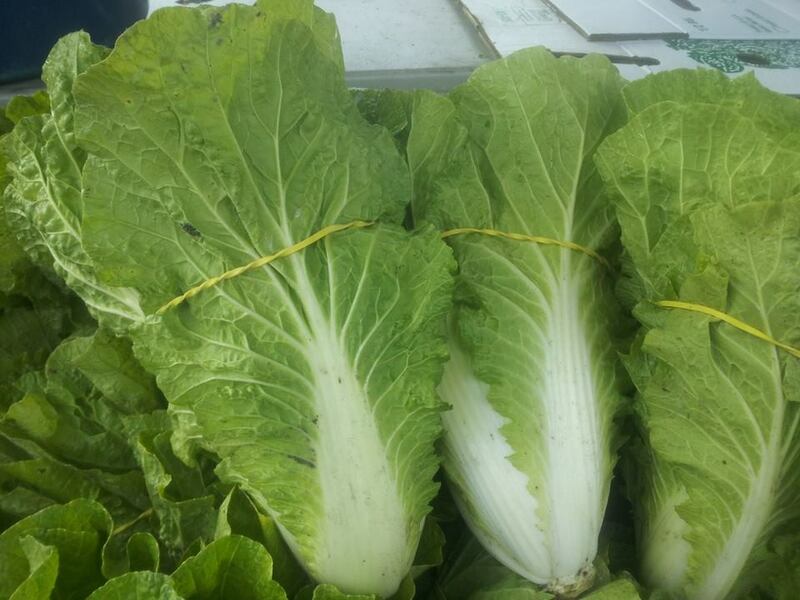 Napa cabbage! Arugula, Green Beans, Tulsi (Holy Basil), Red Russian Kale, Daikon Radish, Purple Top Turnips, Sungold Cherry Tomatoes.